(Natural News) Are you in constant pain because of a stiff neck? If you want to ease the discomfort in your neck, read on to learn more about three bad habits that could be causing neck pain. 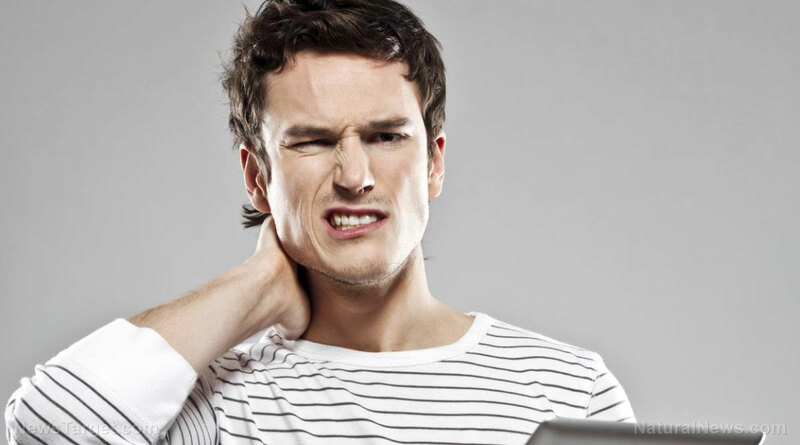 You may not be aware of it but sometimes common and repetitive actions can cause neck pain. Thankfully, learning what these habits are and trying to avoid them can help ease your neck pain. Simple actions such as keeping your head angled forward while driving, tilting your head down to read a book or type on your laptop, or texting on your phone 24/7 will put significant pressure on your neck. These actions may seem harmless, but doing them repetitively can severely impact your neck health. Exercising regularly. If your back and neck are strong and flexible, you can handle the extra stress. According to research, teenagers who actively participate in low-impact team sports or endurance sports have a lower chance of developing neck pain. Holding your smartphone/device higher. This will decrease the angle of your neck. Standing up straight. Practice good posture: Keep your chin tucked in and shoulders pulled back so your body is aligned in a neutral position. Taking constant smartphone breaks. When using a smartphone or laptop, take several breaks to lift your head up and gently stretch your neck. Using an ergonomic desk or workstation. If your job requires you to use a computer for several hours daily, this can help minimize the stress on your back and neck. The way you sleep can also severely impact the health of your neck. If you always sleep on your stomach, you are also placing the most stress on your neck. Sleeping on your stomach often requires you to turn your neck and head sharply to the side, which can place your neck at an awkward angle. This habit is also bad for your neck if you sleep on a firm pillow. To prevent neck pain caused by sleeping in the wrong position, try to sleep on your side or your back. If you have to sleep on your stomach, use a flat pillow or don’t use a pillow at all so your neck and back remain in a comfortable position. It’s common knowledge that smoking causes various respiratory diseases, but did you know that smoking may also worsen degenerative disc disease in the cervical spine or neck? Health experts believe that smoking can aggravate degenerative disc disease since nicotine can make the blood vessels around the spinal discs constrict. When this happens, the crucial nutrients that the discs require are cut off. Research data also implies that nicotine can slow down the growth rate of disc cells. If you are a heavy smoker, you may need to quit this bad habit, especially if you also suffer from frequent neck pain. Review this list of three common and harmful habits. If you find yourself doing any of them, try to quit to prevent further injury to your neck and spine. You can read more articles with home remedies for neck pain at Prevention.news.